So have you heard that Valentine's Day is coming up? I mean, you'd have to be living in a hole of some sort to miss the giant pink and red balloons and roses galore that smack you in the face when you walk into any grocery store. Do I sound cynical about V-day? I'm really not. I love heart shapes and themed anything. But in general, I feel like you should love your person every day and not just Valentines Day. Right? That said, any excuse to send cards, buy gifts and eat chocolate is a-ok with me. My latest article for Home Made Simple's website is all about tips and tricks for Chocolate Dipping. i.e., how to expertly dip foods in chocolate. Perfect for Valentine's Day, right? See the Tips and Tricks here! Then use them on the yummy, adorable ideas below. 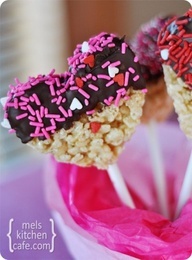 Rice Krispies are easy and no-bake, so there's no excuse to not make them, shape them into hearts and dip them in chocolate! 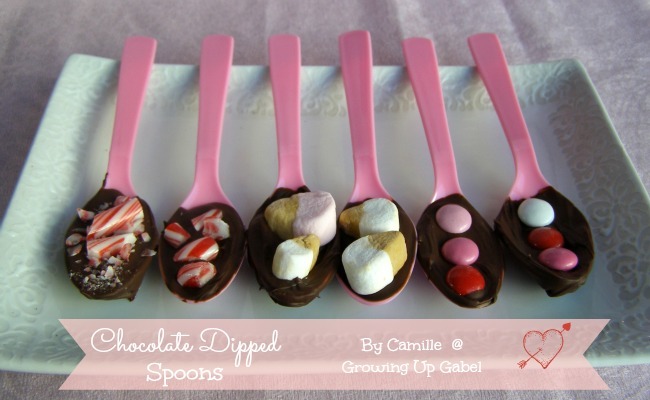 You can't eat the actual spoon, but using this chocolate covered spoon is sure to sweeten up any treat! Waffles are so delicious, and I have to say I don't make them enough. As in ever. I need to get out that waffle maker that's collecting dust. 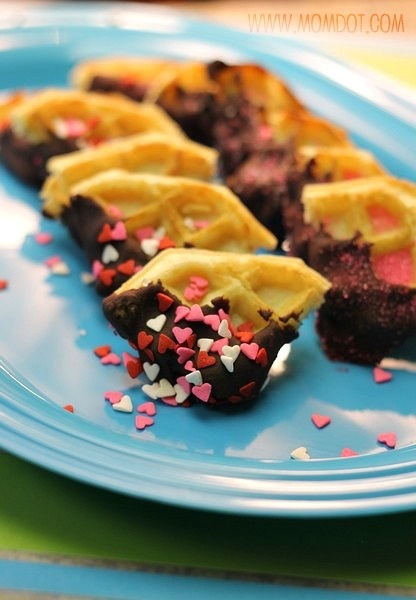 And then I need to add chocolate and heart shaped sprinkles. Obvi. 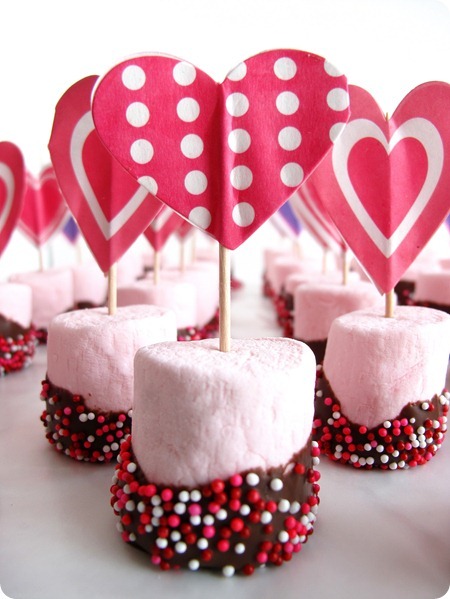 Marshmallows practically beg for chocolate. Hello...smores?? 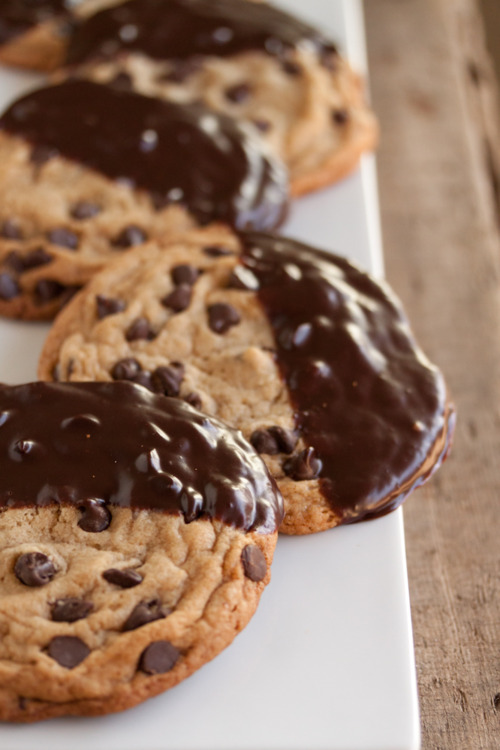 Why have plain chocolate chip cookies when you can have them dipped in chocolate, right? I mean, you've probably been dieting since the New Year, so it's probably 'bout time to get off the wagon. 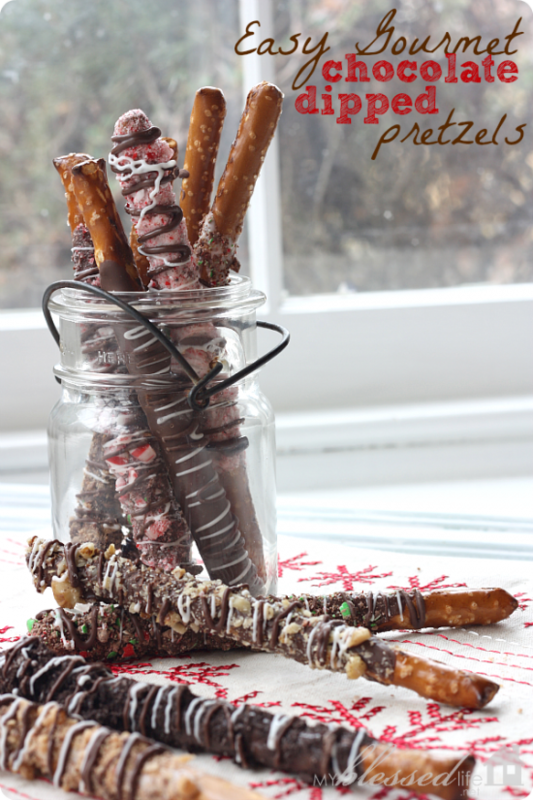 Chocolate covered pretzels have that coveted salty and sweet combo that everyone loves! 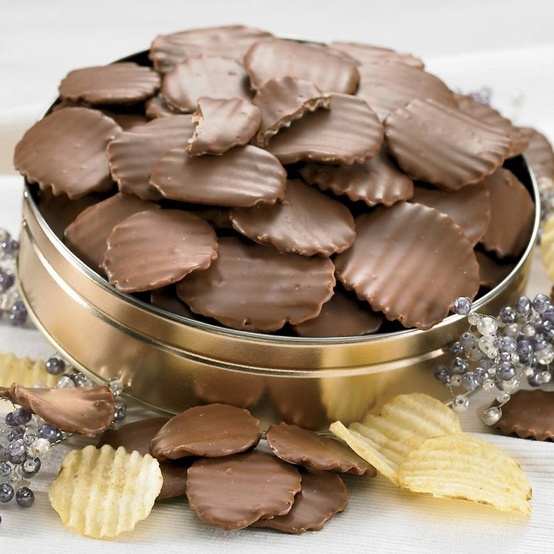 In the same salty and sweet vein, try your hand at Chocolate Dipped Potato Chips. Crunchy meets sweet and salty. YES! 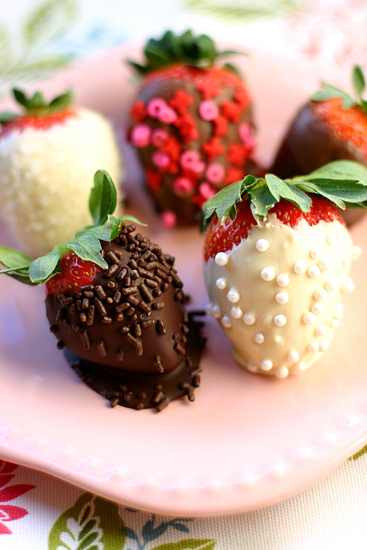 Chocolate covered strawberries are practically a requirement for a romantic evening in. Jump on the bandwagon! OMG, you don't have to be Italian to simple adore Biscotti. I might make it my Valentine this year. 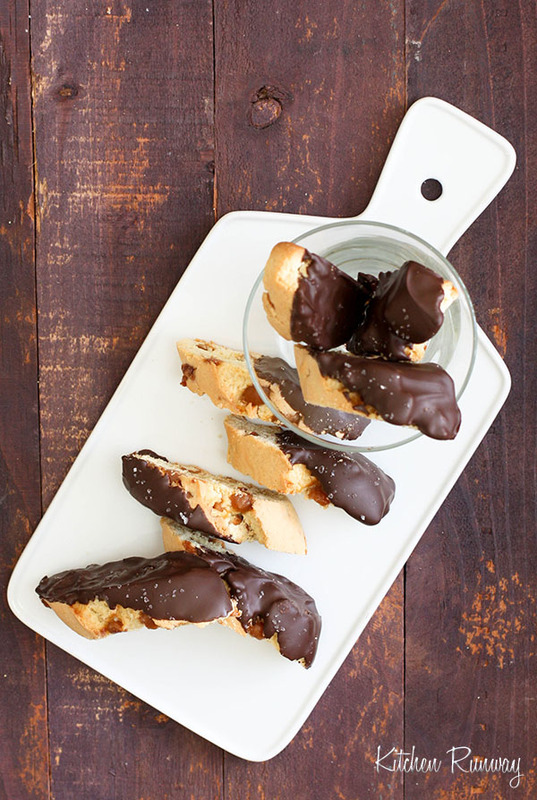 Check out this chocolate dipped caramel biscotti! Remember, check out the tips and tricks at Home Made Simple, plus more recipe ideas. Happy Chocolate Dipping! Mmmmm…chocolate! Now I’m craving truffles….